We're in the library. My older sisters, Charlotte and Imogen, rush over and thrust a book into my hands. "You've got to read this one!" they tell me. 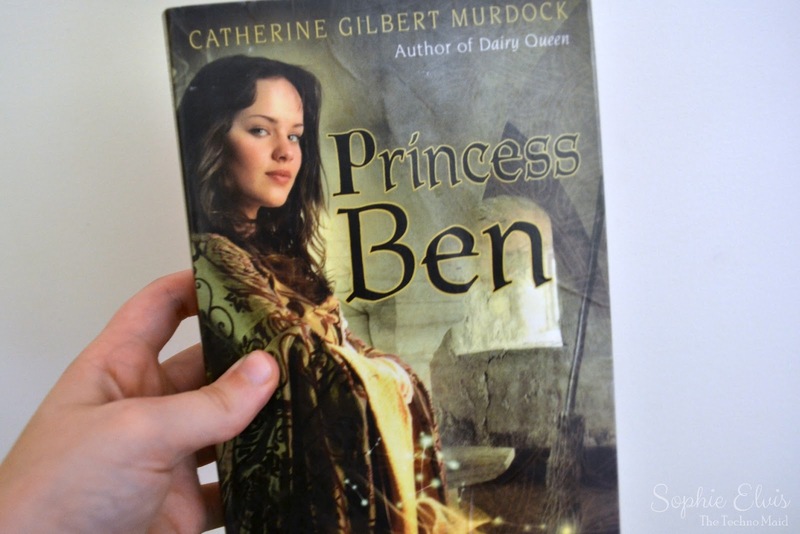 I look down at the book's title: Princess Ben by Catherine Gilbert Murdock. Imogen is always posting about it on her blog. I've been wanting to read it for ages. "Thank you!" I cry, I can't wait to start it. As soon as I get home, I curl up on my bed with the book. Very soon I'm lost in a fantasy world with royalty, fairy tales, mystery and fun. I can't put the book down, it's so good. All too soon, I'm closing the cover, book finished. I'm smiling, I've not yet left the world of the book properly. The book was just so perfect. It's a few days later, I'm trying to think up a video idea. "I know!" I yell. "I could review Princess Ben." So that's what I've done. Would you like to watch? Have you read Princess Ben? What did you think? Do you like rewritten fairy tales? What's your favourite?